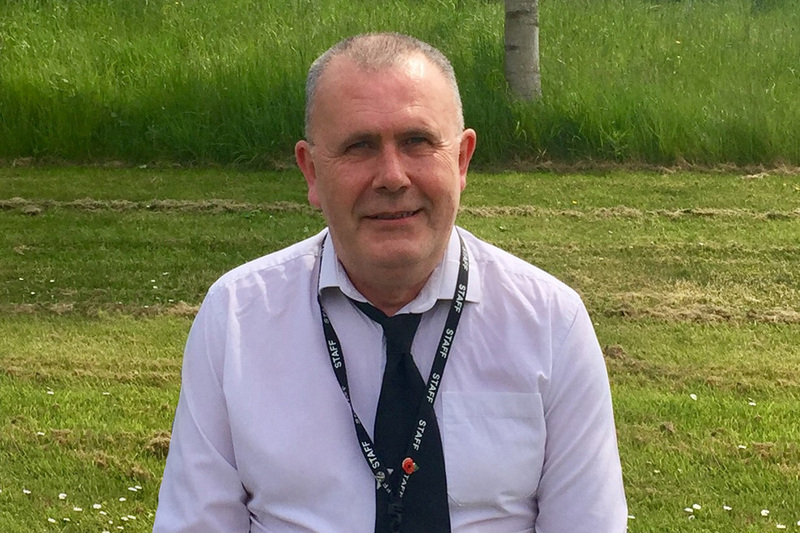 Following Mental Health Awareness Week, David Briggs shares his story of living with depression and explains how HM Land Registry supported him. I have suffered with depression for over 25 years now. I was first diagnosed after going to the doctors because I was losing weight rapidly for no apparent reason. At my worst, I was under 8 stone (I’m 6ft tall) but I honestly couldn’t see how thin I was. The effect of being diagnosed was dramatic, I was immediately signed off, put on medication and got rapidly worse. Luckily, I had a brilliant doctor who arranged for me to see a psychiatric nurse to get to the root of my depression. I’d been ill for a long time, but it crept up slowly and it wasn’t until my body reacted that I sought help. My doctor described it as a chemical imbalance in the brain; like running a bath with a plug that allows the water to trickle out as fast as the tap fills it – depression is when the plug has gone, and water runs out faster than it is replaced. My doctor warned me I would get worse before I got better. I needed to hit rock bottom and face my problems (I was in denial for a long time). He was right; I contemplated suicide on a few occasions. I can’t describe it, but the sense of despair is overwhelming at times. I even tried once but thinking of my daughters gave me the strength to confront it and begin to repair what was wrong. Eventually, I came off medication. HM Land Registry really supported me during the period I was off. They kept in touch, and not just about work things, but to see how I was. When I was ready, a colleague visited me at my home to discuss the best way for me to return to work. Even with all this support, going back was extremely difficult. It played on my mind; What would people think? How would they react? Would they treat me as a two-headed alien? Not good, when you have mental health issues. Before I came back, some close workmates explained to others what was going on. This especially helped because depression can be an invisible illness, and it avoided me having to constantly explain why I’d been off for over 4 months. Many colleagues were brilliant, but some were uncomfortable around me. Just a simple “Hi, how are you” is all that was needed. And if the person opens up to you, please really listen; it’s obvious if you aren’t sincere. I have only had one other bad spell of depression (non-suicidal) which led to me being off work again. I was letting personal issues build up and the stress of not being myself led to a relapse. In a strange way, it was depression that helped me come to terms with myself and admit I am gay. I no longer take medication, I’ve learnt how to live with depression. I know the warning signs and what I need to do to head it off. I have found that taking my dog for a long walk or being in my garden work for me; places where I can just let my mind clear, forget all the trivial things and concentrate on the important things in life. Anyone can suffer from depression but very few will speak openly about it because of the fear of being labelled and treated differently. The depression is still there, it’s a part of me and makes me who I am; but facing my depression has helped me to be happier now than I’ve ever been. My role as a Project Manager dealing with large-scale complex projects is very demanding, but my depression isn’t seen as an issue at HM Land Registry. My managers are aware of my illness, support me, and more importantly, trust me to do my job. They are always there when I need them; just asking me if everything is OK and making sure I don’t overload myself makes an enormous difference. HM Land Registry is committed to supporting its people through mental ill health. To get people to talk about their personal experiences, we’re sharing stories like David’s, on our intranet. We’ve also launched a mental health first aider scheme, so that every office has a trained support worker. Well done for sharing, I myself am a sufferer of the hidden illness. People say "you really" it has no discretion people should be made aware. Thank you. Well done for sharing - you should take strength from that. This illness is more killing than the psychotic illness schizophrenia. You can see symptoms of Schizophrenia but for depression it is more difficult to detect. The sufferers are usually able to talk and behave rationally in front of people. I am glad to see an employer is able to help a serious sufferer and see him back to work as normal. I was a medical social worker in an outpatient psychiatric clinic before I changed to law. The clinic is a very old one. Some patients coming in are chronic psychotic patients. I have seen how they have been rejected in the family or society, and how helpless the families are. A career in law is very stressful whatever stage of the career and whatever environment you are working in. I would not be surprised to know there are more lawyers than before admitting they are suffering from some kind of mental illness since the launch of mental well being campaign for lawyers. I would be pleased to see the employers and all parties are involved to help these sufferers recover. Thanks Monica, that means a lot. I've very fond memories of the "Action Line", really busy but very rewarding and great atmosphere. So pleased for you David - I am an OCD sufferer and this too is a hidden illness. I also suffer from extreme worry and stress. Glad LR are doing their bit for you. needed it David. Wish you all the best.